Doing small and simple things prevents a person from becoming “spiritually lazy,” said Sister Reyna I. Aburto of the Relief Society General Presidency during an LDS Business College devotional on October 10. 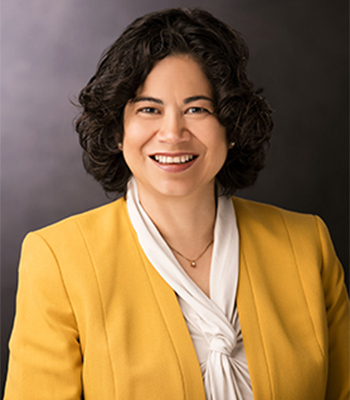 Sister Reyna I. Aburto, Second Counselor in the Relief Society General Presidency. 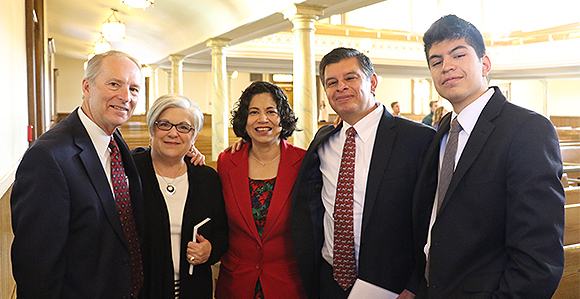 Sister Aburto, who was called in April 2017 as the Second Counselor in the Relief Society General Presidency, shared with LDS Business College students a story about two brothers who lived many years ago and were extremely lazy. Although the father of the young men was a hard worker who tried to teach the principle of work to his sons, the young men took every opportunity to run away from their chores. All of the sudden, the brother that was looking up saw a huge plane passing in the sky for the first time ever above their small town. With excitement he told his brother to look! “Without moving or even turning one inch and still lying facedown, his brother replied, ‘Lucky you that you can see it,’” Sister Aburto said.